UNRWA closes the last remaining shelter for Palestinian Arabs displaced in last summer's war in Gaza. The UN has closed the last remaining shelter for Palestinian Arabs displaced in last summer's war in Gaza, a spokesman said on Thursday, according to AFP. The July-August conflict between Israel and the Islamist terrorist movement Hamas, which rules Gaza, left 100,000 Gazans homeless and forced many to seek refuge in schools belonging to the UN's agency for “Palestinian refugees”, UNRWA. "Some 30 families left the shelter of the Bahrain school (in western Gaza City), where up to 1,100 displaced people had been living," UNRWA spokesman Adnan Abu Hasna told AFP on Thursday. It was the final UN building being used as a shelter for those displaced in the war, he said. The United Nations has stressed the need for its schools being used as shelters to be able to function fully as educational institutions. UNRWA gave between $800 and $1000 (700-875 euros) to each family to be spent on temporary accommodation for several months, Abu Hasna said. He said that the amount of money the agency could continue giving families would "depend on donor support." Reconstruction of the tens of thousands of homes destroyed during the war has not yet begun, although repairs have been made to a number of partially damaged buildings, UNRWA says. UNRWA facilities were in the headlines during Operation Protective Edge, as Hamas terrorists hid weapons at UNRWA facilities. On at least three separate occasions, which rockets were found at UNRWA facilities. After the first finding of rockets at an UNRWA school, UNRWA workers reportedly called Hamas to come remove them. 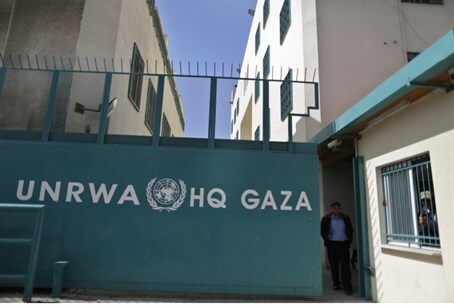 UNRWA head Pierre Krahenbuhl recently admitted that Hamas terrorists hid weapons at UNRWA facilities, saying, "We were the ones who found the weapons caches in our facilities during inspections. The reason that the whole world knew about it is that we told them." The UNRWA head continued, saying, "We knew the revelation would lead to harsh responses against us in Israel, but try to imagine what would happen if we weren't the ones who published it. The act of publishing proves we aren't ready to allow it and show restraint."